TEXT FROM CHILDLESS FRIEND: WE NEED TO CATCH UP! LETS MEET F - ProudMummy.com the Web's Community for Mums. TEXT FROM CHILDLESS FRIEND: WE NEED TO CATCH UP! 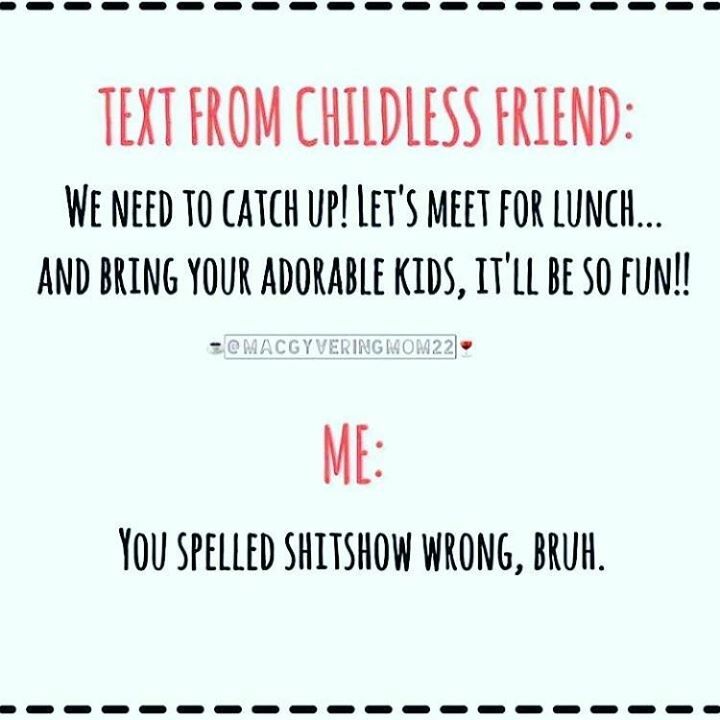 LETS MEET FOR LUNCH... .AND BRING YOUR ADORABLE KIDS, IT'LL BE SO FUN!! ME: SPELLED SHITSHOW WRONG, BRUH. Amanda Schuppan omg, lunch haha haha!